April 9th, 2015 09:38 AM | by koreatech | Avengers. 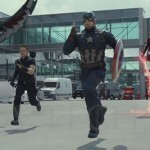 What you always wanted to know about which version of Avengers 2 Age of Ultron movie and the largest screen size to watch in South Korea – the most extensive guide, ever that even the North might be contemplating a Sudden Attack . first in either iMAX or CGV Starium, but I tilt towards the latter as this movie wasn’t originally shot in iMAX equipment AND the largest Starium is half times wider than the largest iMAX screen throughout the Korean Peninsula ! but note : larger does not mean better though, as details would be sharper on iMAX and a common dilemma viewers confess is that Starium screens are too wide for your eyes to grasp the whole scene all together !? then 4DX as the Original Avengers seen on 4DX shown on this BLog, was memorable than Universal Studios and Star Trek Experience at Las Vegas Hilton . *4DX includes multi-directional sound, wind-blow, water-spray, smell and chair movement .. wait, is that five then ? Oh, they don’t Officially include ‘smell’ but I did sense it ! but without three dimensional effects . 《 Starium 》 often listed as one of the largest movie screens in the whole wide World ! * ENOUGH ABOUT CGV – WHAT ABOUT LOTTE CINEMA AND MEGABOX ? OK, Korea Tech BLog has the most extensive English guide to CGV theatres and its effects, aside from their Official website in Korean, and rightfully so for it lines the leading edge of motion picture viewing experience ! but larger theatres can only be built in out-of-way grounds, so you might have to commute a distance in search of that ecstasy . so the only reason you would want to try other theatre brands is for proximity AND some are brand-new perhaps refurbished from an old local theatre thus specklessly clean – none of that lingering moss-smell on crumbling theatres built in the last Millennium . 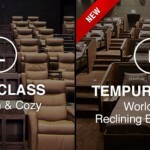 CGV theatres have taken-up the largest space and prime real estate property in the most lavish shopping mall complexes, with the most varied cinema experience ..
and MegaBox tend to take over existing older theatres throughout the Korean Peninsula and renovating it up to Post-Modern standards, but are over-all smaller in scale than the above two . if you still cannot make a choice which version or location to view : Life is about making choices and only You know which is your priority . if want simply want the cheapest and pizzazz is not important to you, or you want a theatre close to you in proximity : MegaBox should have a branch in town . and if you want to linger in a lavish environment like a First Class seat on AirBus 380 flight : both CGV and Lotte Cinema have a few comfortable selections for your date . being in South Korea circa onto the Third Millennium means you have access to some of the latest technology in movie-viewing and you only have to Wonder above in selecting the largest screen possible .. at a price AND some transportation time .